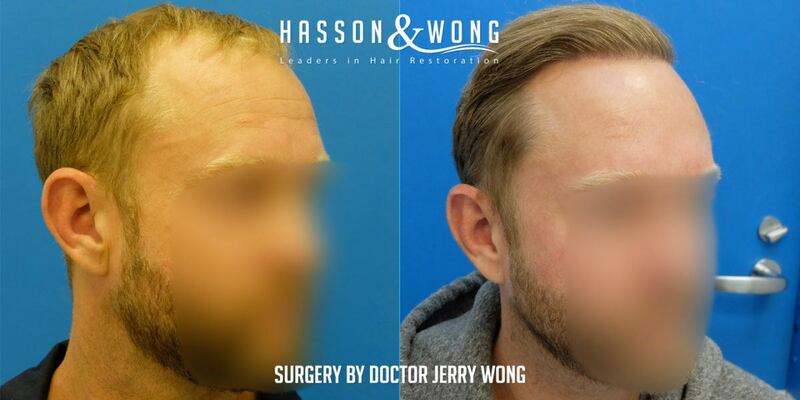 Dr. Jerry Wong FUT hair transplant results. 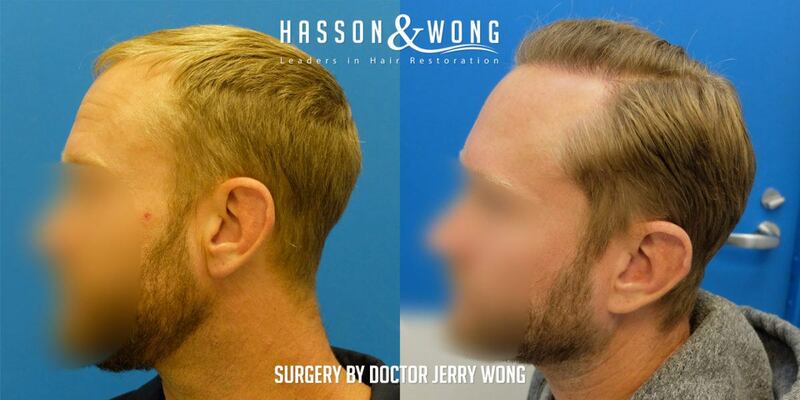 Dr. Jerry Wong’s patient on a caucassian male with fine blond hair. Blond hair is hard to work with in the sense that the hair tends to be extremely fine. 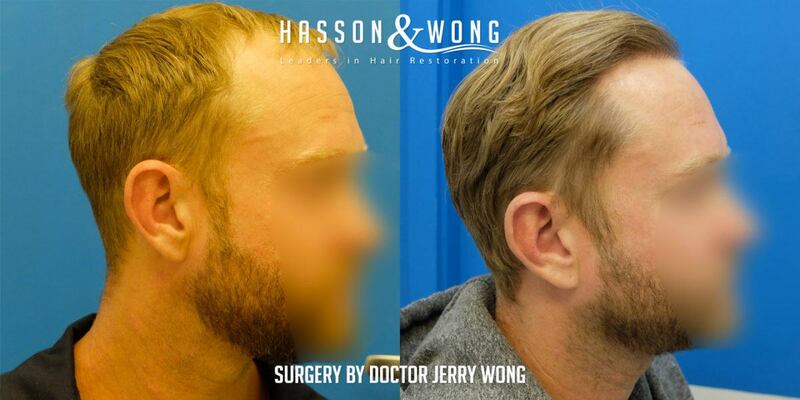 In more instances, you will need more grafts than normal in order to create density with blond hairs. 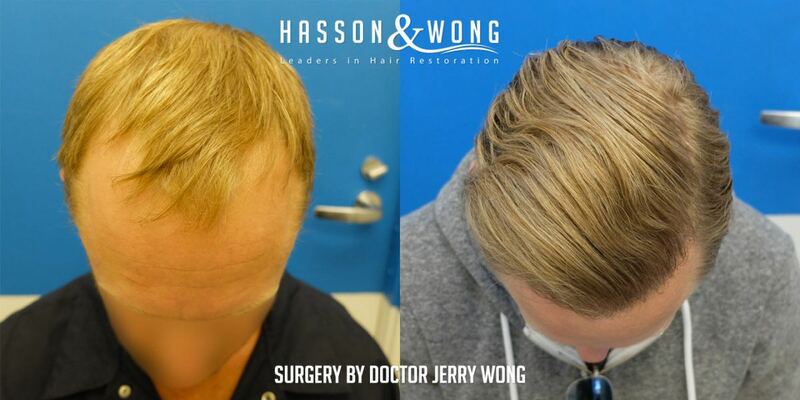 In this case, Dr. Wong brilliantly restored a Norwood class 4 using 5181 grafts. 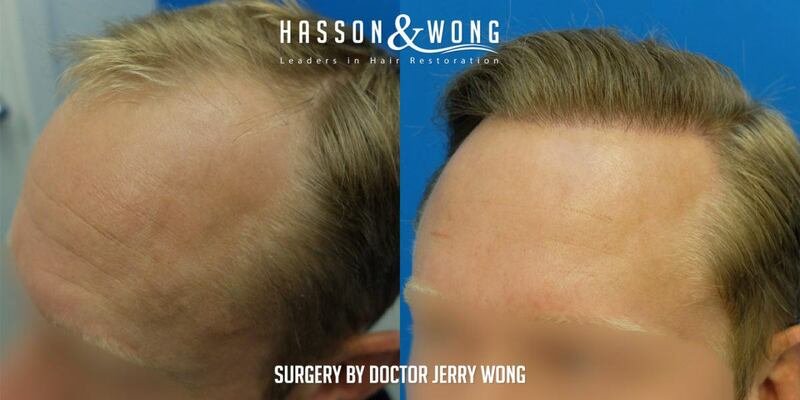 You can see the frontal restoration showing a naturally balanced and symmetrical design that perfectly framed the patient’s face. 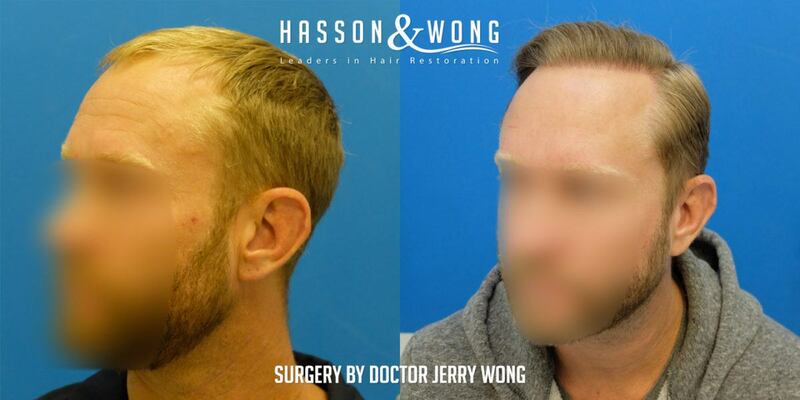 If you are considering hair transplant as an option, you owe it to yourself to at least have a consultation with Hasson & Wong, they are presently one of the Top Ranked hair clinics on HairSite based on their patient result statistics. 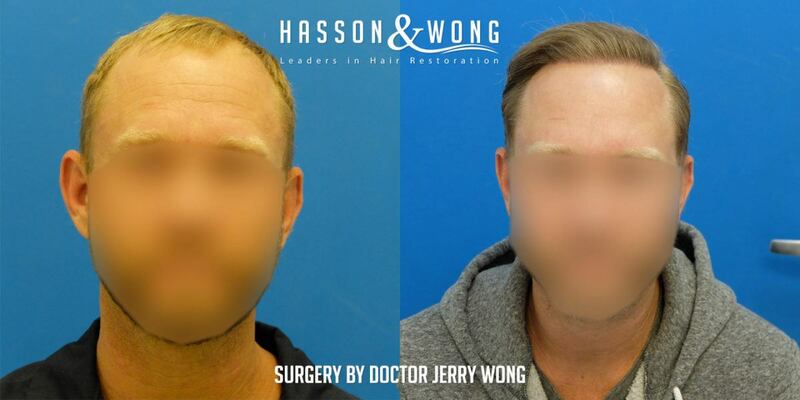 Find out what Hasson & Wong can offer that cannot be found at other clinics. Call 1–800–859–2266 or (604) 739-4247 or email info@hassonandwong to schedule a free no obligation consulation.